Plate is all about food, chefs and creative culinary innovation. At Plate, we are driven by an insatiable passion for food. We explore the culinary world to meet the industry's most innovative chefs and uncover interesting and inspiring food and drink ideas. And by presenting these ideas to our readers, we aim to stimulate their creativity and menu innovation, so they, too, can take food further. Plate connects with professional chefs and restaurateurs through print, digital and social media channels, engaging our readers on their terms – whether in the kitchen or on the go. Every issue of our print magazine offers a “deep dive” into a singular culinary theme. Online, we've created a rich, interactive, multimedia exprience for chefs to search and explore. The Plate team is steeped in food and the foodservice industry. And when she’s not thinking about food, you may find her 60 feet below the ocean surface, enjoying a moment of Zen in her scuba gear. Liz has been the managing editor of Plate magazine since 2007. She’s also the co-founder of Between Bites, a nonprofit that offers a food-themed live literary series. Other good deeds include volunteering with Meals on Wheels Chicago and Culinary Care, teaching the kid’s writing workshop “How To Cook a Wolf” for 826Chi and reading from her middle school diary for Mortified Chicago, a daring endeavor she’s still recovering from. Her writings have appeared in Newsweek, Robb Report, CNN Traveller and Chicago magazine. Graze magazine also published her Between Bites story on cooking in Charlie Trotter’s kitchen. Liz loves laughing with her big family and good friends around the dinner table, sometimes even making them wait to eat while she shoots their food. You can enjoy Liz’s photos and follow her foodie adventures on instagram @elizabites_chi. Amy Cavanaugh joined Plate in 2016 after several years as the restaurant and bar editor and dining critic at Time Out Chicago. Prior to that, she was a freelance writer in Chicago and Washington, DC and has written for the Boston Globe, Chicago Tribune, Eater, Saveur, Serious Eats and other publications. She’s a huge cocktail nerd, and loves trying new spirits and traveling to visit cocktail bars. A New England native, Amy is happiest when devouring seafood, whether it’s a buttery Connecticut lobster roll or an Old Bay-covered crab feast. Follow her eating adventures on Instagram @AmyCavanaugh. Susan is a 23-year veteran of foodservice media, having served in all aspects of sales and publishing at Nation’s Restaurant News, Restaurant Business and Restaurants & Institutions. Most recently, she was Vice President of Marketing for SPINS, a market research and consulting firm specializing in the natural and organic products sector. Szymanski is an active member of various industry associations, including Les Dames d’Escoffier and Blessings in a Backpack. She is a graduate of Philadelphia University and resides in Chicago. "I am thrilled to be returning to the foodservice Industry and continuing the legacy that Steve Mayer created with the Plate team," Szymanski said. 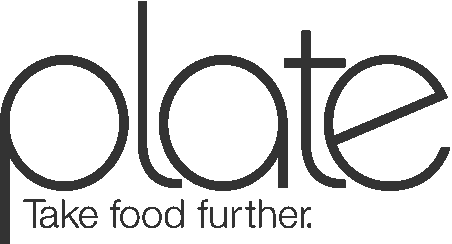 "Plate has always been a beacon of new ideas for the chefs and the entire foodservice industry." Throughout his career, Jerry has been immersed in the restaurant industry where he developed a penchant for Kumamoto oysters, Margherita pizza, key lime pie and Chardonnay. The key to his success? Creating opportunities for foodservice companies to work more closely with the chef and operator communities. Jerry joined the Plate team in 2010 after 25+ years in foodservice operations, distribution and media sales, where he held top sales and management positions with several leading food media companies. A big fan of Danny Meyer, Jerry heads to the Big Apple when looking to dine out at a favorite restaurant. Although he’s been with Plate since its launch in 2002, Bill has yet to master the art of a perfect omelet. In addition to Plate, Bill oversees editorial operations for sister publications Meatingplace, CarneTec and HOTELS. His career as a business journalist has been almost entirely focused on food and hospitality industries, with stints at Cahners/Reed Business Information, VerticalNet and Advertising Age. With a passion for travel and exploration, Bill continues his quest for the perfect gin martini. A Chicago-based editor for more than a decade, Katie Wilson got her start working on law manuals and other, less flavorful copy. When she found herself spending her free time reading cookbooks and food magazines, she decided to mix business with leisure and train her editor’s eye on food. Her go-to dish? “Massaman curry with sweet potato, please!” She’s also partial to a tomato soup recipe that calls for a bit of sugar, and has nearly perfected her clean-out-the-fridge chilaquiles. Now she wrangles recipes for Plate, along with helping cookbook authors and chefs fine-tune their manuscripts. She’s always in search of great weekend trips to unfamiliar locales, but also likes to recharge at one of her happy places—the bar inside Ishnala, a magical supper club overlooking Mirror Lake in Wisconsin. As Corporate Marketing Director, Laurie oversees efforts to enhance the company’s foodservice, hospitality and meat and poultry processing brands through integrated marketing programs, live events and custom publishing. Most of her career has been spent in the foodservice and hospitality sector. When not picking blueberries in Southern Michigan or wandering art fairs, you’ll find her tasting wines in Sonoma Valley or ballooning over the mountains of Arizona. Creating an intimate dining experience for friends is one of her favorite things and her Brussels sprout recipe has gained its own following. Prior to Plate, Laurie was VP Marketing for a Chicago design firm and a Marketing Executive for Reed Business Foodservice and Hospitality publications. A designer of award-winning publications since 1999, Bert came onboard with Plate as the lead designer in early 2015. Prior to joining the MTG Media Group, he held positions with Putman Media and Advanstar Communications. When it's time to put the mouse down, Bert enjoys photography, Chicago street festivals or drinking beer with his friends. He’s also a fan of salad, Blackbird, George Lucas and fully leaded coffee. Go figure. Steve is an award-winning art director and 13-year veteran of B2B publishing, not to mention a film enthusiast and connoisseur of the craft beer variety. Prior to joining MTG Media Group, he held design positions at Stagnito Communications and Putman Media. At MTG he’s responsible for website design and User Interface, in addition to article and special projects design for Plate’s sister publications Meatingplace, CarneTec and HOTELS. Steve is wishy-washy about his favorite food, declaring that “it depends on which way the wind is blowing,” but is unwavering about his passion for the Green Bay Packers.